At North Scarle there is approximately one third of a mile of 5″ and 7¼” dual gauge ground level track. 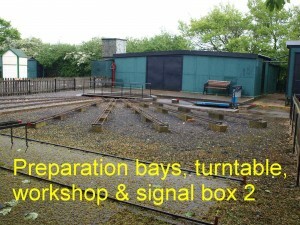 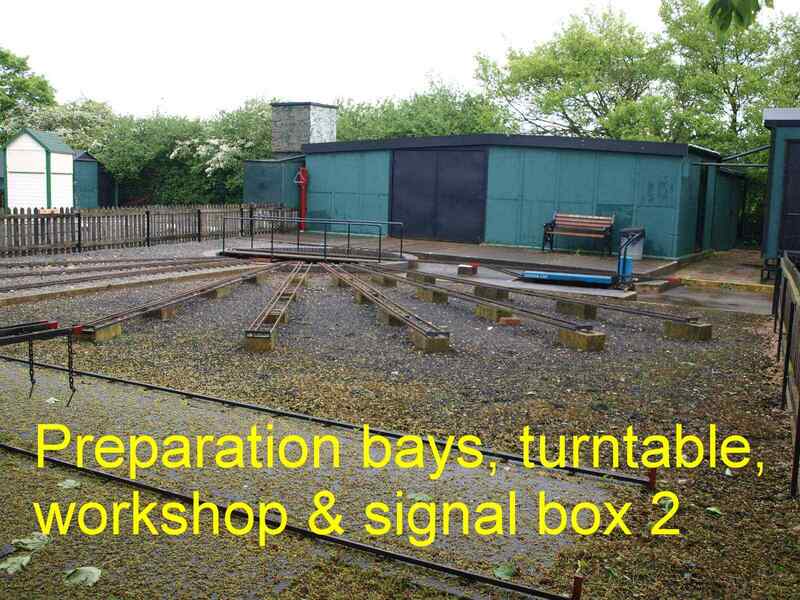 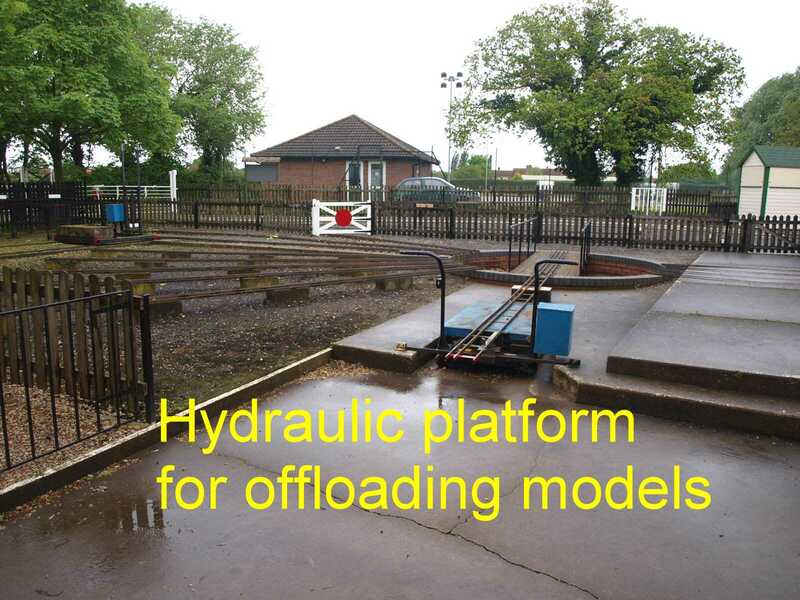 There are raised steaming bays for small 5″ & 7¼” locos and ground level bays for larger locomotives, a turntable and hydraulic lift for offloading locomotives from trailers etc. 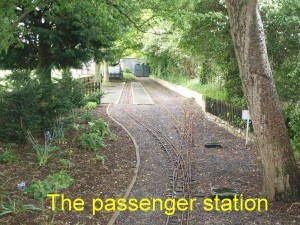 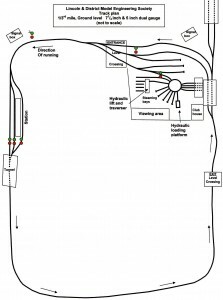 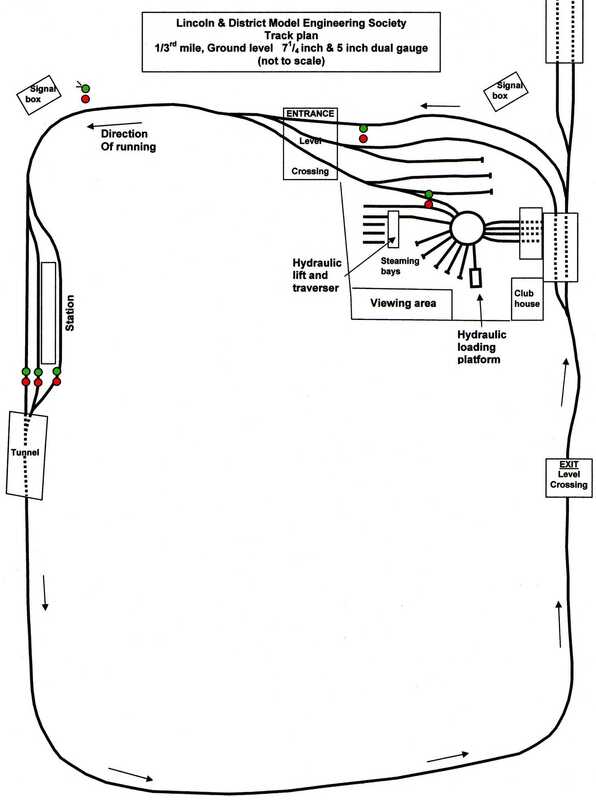 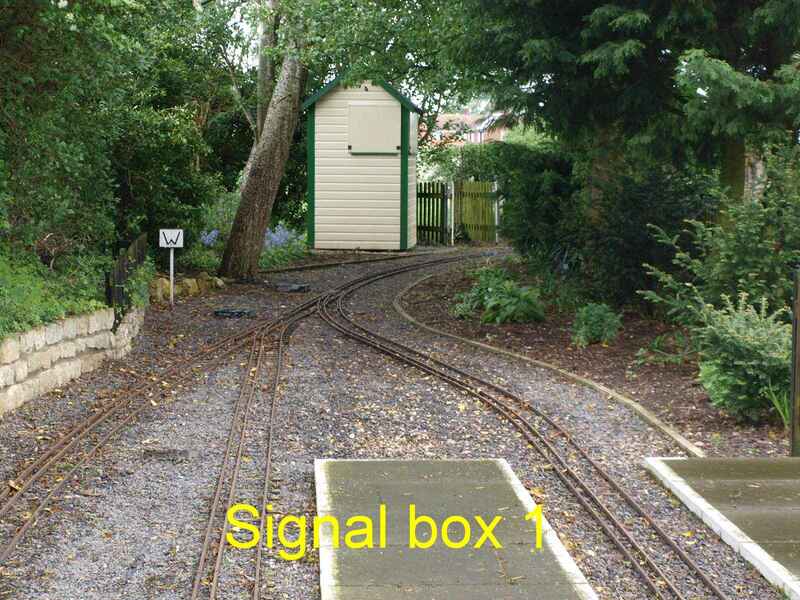 The line travels round the field, normal running direction is anti-clockwise, from the old station, over the crossing, along the east side of the field and enters the new station. Leaving the station it passes through the ‘tunnel’ and down to the corner of the field along the cricket pitch, turning north, down the bank and then turning again to run alongside Clog Bank, over the field exit gate past the football pitch and into the other ‘tunnel’ at the rear of the old station.